In part 5 we had a look at ways to supplement your overall online strategy with Paid Advertising. In this post we are going to show you some ways to nurture leads into customers while your sleeping through the use of automation. Lead nurturing is the process of developing relationships with your potential customers by sending targeted, relevant, and valuable messages to them in a timely manner. The end goal is to get your leads to further engage with you and your business. From a technical point of view, this kind of marketing automation is accomplished with software that allows you to send an automated series of email messages to early-stage leads in order to pre-qualify them.. As a business owner you know that getting leads is great — but not all leads are at the point where they can be considered ready to convert to customers. Take a look at your existing sales funnel. How long does it typically take for a lead to become a customer after his or her first inquiry? Does the sales cycle vary for different types of purchases? Equipped with the answers to these questions, you can build some effective lead nurturing campaigns and leverage this marketing channel to qualify leads. 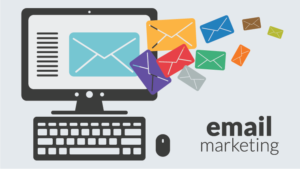 In addition to nurturing your leads through targeted email messages, you should also be looking at the larger email marketing picture, which includes growing your database, closely following key metrics, and increasing conversions. First let’s talk about . . .
One of the biggest challenge even for experienced internet marketers is creating opt-in opportunities. Make sure your lead forms allow your website visitors to enter their email address and opt-in to receive your messages. Give them a reason to opt-in. What’s so valuable about your emails? What interesting and unique information will they receive in your email newsletter? Be explicit and phrase the benefits in a way that will resonate with your audience. Only send messages to people who have explicitly opted in. You can follow the extreme principle of Seth Godin’s “permission marketing”: would your recipient be upset if they didn’t receive your message? If yes, you should go ahead and send your email. update dynamically as contacts meet your list criteria. Remember, Google is your friend when looking for some of these tools. Here are some . . . Send emails that are relevant to the interests of your contacts. What initially brought them to you? How can you follow-up on that interest to further engage them? Make sure that your message adds value. Get into the mind of your recipients and ask, “what’s in it for me?” Are you emailing them just to tell them how great your product is or are you offering to help them solve a problem? Make the value clear in the email body and subject line. Don’t rely on images. Some email clients don’t load images automatically. So if your email is one large image, your recipient might not have any idea what it’s about! Use images as supplementary (clickable) content in your email, and make sure you have enough text to communicate value. Be consistent in your communication You always want to strive to set the right expectations. Whether you send your messages daily, weekly, or monthly, pick a schedule and stick to it. Every marketing message you send out should have a goal. Make it clear what recipients are supposed to do once they open your email. Are you driving subscribers to read a product announcement on your blog? Asking them to share an offer on social media? Inviting them to download your new ebook? If your goal is lead generation, include a call-to-action that links to a landing page where the recipient can reconvert and self-select to further engage with your company. In the event these subscribers are already existing leads for your business, then, inform them about product-centric offers and let them qualify themselves as more sales-ready. If they are not ready to commit yet, continue nurturing them with broader offers and stay topof-mind for them. Remember, the landing page is part of your email campaign. Email marketing doesn’t stop with a click. Your landing page is an extension of your email, and it is where your conversion takes place. Make sure your email offer and landing page are well aligned, using similar language and images. Click-through rate (CTR) – Click-through rate measures response: how many of the people you emailed clicked on your link(s)? The CTR can give you a sense of how compelling your offer and email messages are. Experiment with different offers, subject lines, calls-to-action, and timing to improve your email CTR. Open rate – Some experts say the pen rate is an unreliable metric because major email clients do not load the images necessary for tracking who opened an email. Instead of worrying about open rate, focus on the number of clicks your emails receive. Unsubscribe rate – Unsubscribe rate measures the percentage of recipients who opted-out of your email communications. Like open rates, the unsubscribe rate isn’t a reliable picture of your email list’s health. Many subscribers won’t bother to go through the formal unsubscribe process but will just stop opening, reading, and clicking on your messages. Measure how many of those clicks turned into re-conversions on your landing page. It’s the ultimate measure of an email campaign’s effectiveness. The higher your conversion rate, the more relevant and compelling the offer was for your audience. However, conversion rates are dependent on factors beyond the original email message, like the quality of your landing page. Test different landing pages to improve the conversion on your website. Nurturing your contacts doesn’t have to be limited to email communications. After all, you can communicate with your leads via social media or other platforms they use. That is why you should also start thinking about behavior-driven communications, those that get triggered based on your leads’ full history of interactions, both on and off your site. In Part 7 of this series, we will take a look at how to measure the overall effectiveness of your online marketing efforts.